With the dog days of summer firmly upon us, weather-related stories dominate the front pages of Finnish newspapers on Friday. 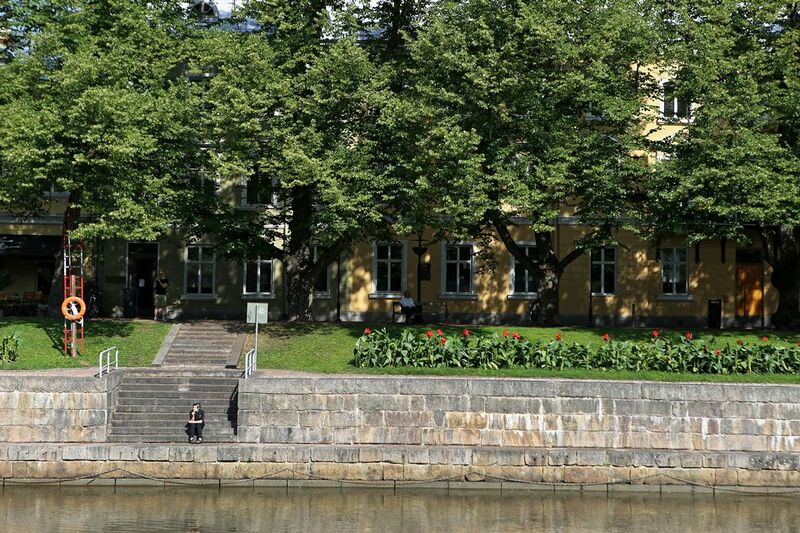 The main south-western daily Turun Sanomat reports the appearance of toxic blue-green algae in the River Aura, which flows through the former capital, Turku. The local ELY Centre for Economic Development, Transport and the Environment confirms the presence of poisonous algae in the river, adding it does not have any record of such sightings in the past. It attributes the bloom to the recent hot, calm weather and run-off nutrients in the nearby seawater. TS also reports that some sugar-beet farmers in the south-west have lost their entire crop this year to drought. On the other hand, diggers harvesting peat for energy say this arid summer has been ideal for cutting turf. “We couldn’t hope for a better summer; we’ve been able to work around the clock,” says Petri Virtanen, who digs up peat on three former bogland areas in Tammela and Lieto owned by the state fuel company Vapo. The centre-right government has encouraged the use of peat as energy despite studies suggesting that it is not environmentally sustainable. The most-read story on Tampere daily Aamulehti’s website tracks violent thunderstorms that ripped across the Pirkanmaa region on Thursday evening, causing flooded streets in Tampere, power outages and at least a half-dozen brushfires. More lightning was predicted for Friday across much of central, eastern and northern Finland. The paper also writes about a 90-year-old Tampere woman who died at an Attendo care home on Monday evening, but was not officially pronounced dead nor removed from her room for 18 hours. Pihlajalinna, a private medical company contracted by the city, has apologised for a breakdown in communications that led to the delay. Meanwhile an 80-year-old Pirkanmaa woman was found in reasonably good condition after lying in the forest for a day and a half. She fell while berry-picking and was unable to get up or reach her mobile phone. On a happier note, the paper profiles Finnish-British heptathlete Maria Huntington, who qualified for the European Athletics Championships in Berlin after a last-minute mix-up. On Wednesday night, the 21-year-old Tampere native was told that the Finnish Athletics Federation (SUL) had erroneously registered for the high jump, for which she was not qualified, so she would not be able to attend her first major international event. After a sleepless night, the matter was cleared up on Thursday, though, and Huntington will compete in the correct event, the heptathlon. The games begin on Monday. In northern Finland, the Oulu daily Kaleva also looks at the impact of this season’s drought, noting that the water level in the Kiiminki River is lower than anyone can remember. The regional ELY Centre says that such a low water level has never been officially recorded for the waterway. Northern Ostrobothnia was also hit by many wildfires on Thursday, some of them apparently set off by lightning. Kaleva also urges readers to look skyward on Saturday, when a partial solar eclipse should make ideal conditions to observe the annual Perseid meteor shower. The Finnish astronomical society Ursa says that the eclipse will occur between 11.39 am and 12.58 pm Finnish time, with about 20 percent of the sun blocked when seen from Oulu and 31 percent from northernmost Utsjoki. The Perseids, however, will not be at their most active until 10-14 August.